In a previous article I attempted to examine the Scriptural, patristic, and canonical evidence for a belief in Universalism, the belief that eventually all will be saved (including, according to many universalists, Satan and the demons). I concluded that the evidence all went the other way, and I reaffirmed the traditional teaching that the punishments of Gehenna will be eternal. I acknowledged in passing the legitimacy and even the necessity of trying to explain how a belief in the eternity of Gehenna can be combined with a belief in the love of God. I will attempt to do that now. But I stress that my aim is limited to trying to understand how a belief in Gehenna can be moral—making it palatable is beyond my power or intention. My goal in discussing hell is the same as C.S. Lewis’ goal when he discussed it, for, as he said (in his chapter on Hell in his The Problem of Pain), “I am not going to try to prove the doctrine [of hell] tolerable. Let us make no mistake; it is not tolerable. But I think the doctrine can be shown to be moral”. We begin by examining the arguments of those impugning the traditional doctrine of Gehenna as eternal. One objection to this doctrine revolves around the incommensurability between the sin and its punishment. One feels it would be monstrously unfair of God to punish a few years of sin and rebellion with an eternity of suffering. If “an eye for an eye” is the classic expression of justice, how could an eternal hell be just? This objection assumes that time and eternity are both linear, and that seventy years in this life and age equal an approximate number of years in the next life and the age to come. But there is no reason to think that eternity is as linear as time, or that it is like time as we experience it, continued after the Last Judgment. Rather, time and eternity are related to one another as the foundation is to the house built upon it. If the foundation is laid wrongly and askew, the house will be even more askew, and the higher the house is built, the more askew it will become. We see this even in the drawing of lines. Say I draw a line as a base and then draw another line, intending to draw the second line at a 90 degree angle from the first, but instead drawing it at an 80 degree angle. Obviously the further the second line extends, the further it will go from its intended 90 degree place. At few feet from the base, it will be a certain distance “off”, but at a few miles from the base it will be even further off. Increasing the amount of distance from the base will do nothing to correct it. This forms a kind of analogy between the relation between time and eternity. During this life, within time, a person makes decisions which effect his heart and his life and even his ability to make future decisions. (We see this last in the case of drug addiction: an addict is not free to choose not to use the drug, because his previous choice to use the drug has resulted in impaired ability to freely choose.) If in this life one chooses darkness over light and continues along that path so that darkness becomes second-nature, then this darkness and rebellion becomes the foundation upon which eternity must be built. One thereby sets oneself up for darkness and misery in the age to come. Thus hell is not a matter of God choosing to torture a sinner for an eternity because the sinner sinned for seventy years. Eternity will last forever no matter what (that is what “eternity” means)—the only question is: on what foundation will one’s experience of eternity be built? If for seventy years the sinner has laid a foundation of rebellion and destroyed his ability to repent and be nourished by joy, then the eternity built upon it will be one of misery—not because God chooses the amount of punishment deserved, but because of the nature of time as foundational to eternity. Smuggled unnoticed into this picture of the penitent person in hell crying for mercy is the unexamined assumption that the people in hell remain more or less as we knew them in this life. (This was also assumed in the example brought to St. Silouan by his hermit friend.) We think of people we have known who were not really religious, but who were not openly evil either. We remember their good points, their virtues, perhaps their sense of humour. We remember their smiles as well as their frowns, and above all the times that they were good, and the times they admitted that they were wrong. It is this person, intact, as remembered, that we imagine enduring the pains of hell, and it is this which tears at our heart. Certainly love could not bear that. But I would suggest alternative picture of the lost. We see this alternative described by C.S. Lewis in his chapter on Hell already mentioned, and portrayed dramatically in his book The Great Divorce. There those in hell were literally shadows of their former selves. All that identified them as the persons that others knew or even as human had been burned away by the sin lurking and growing inside them. Or, to vary the metaphor, the cancer of sin and self-will had eaten away all their humanity, including their free will. All that was left was sin—the hideous lust, the unrelenting rage, the suicidal self-pity. If we could look down from paradise into the place of punishment (as in St. Silouan’s scenario) we would not see a human being, much less the human being we knew (such as the atheist imagined by St. Silouan’s hermit friend). All the created humanity of the person with its potential for love, knowledge, self-transcendence, joy, and especially repentance, had long since eroded away to nothing. This view of the damned may help us in dealing with several objections. It may help us to see how “love could bear this”, because what would be borne and witnessed from paradise would not the torment of a human being, but the inevitable end of a process of self-destruction. The sting to the tender heart comes from the thought that “the torments of hell are going on now, and people are suffering”. But in one sense the people we knew or anything recognizable as a human being no longer exist. Hell and heaven therefore are in no sense parallel to each other, as the objection presupposes. They are not two different compartments of reality, with heaven on the top-floor penthouse and hell in the basement. The saved in the final Kingdom of God will not stop and reflect on the disturbing thought, “Somewhere people are suffering in hell”, as we may now stop in our peaceful and affluent neighbourhoods and think, “Somewhere in the world wars are going on and people are dying”. To quote Lewis again, “The thing to be understood is so nearly Nothing”. The “remains” of human beings that constitute hell, the pile of ash—the lust, and rage, and self-pity, the psychic flickerings of rebellion and determined withdrawal into self that are all that remain out of what was once a person—these scarcely constitute reality. The Biblical picture of the end is one in which “the earth will be filled with the knowledge of the glory of the Lord as the waters cover the sea” (Habakkuk 2:14). In that new heavens and new earth, righteousness will dwell (2 Peter 3:13). This is the vision which St. Paul described as God being “all in all” (1 Corinthians 15:28), and this vision is true. Hell forms no part of this world, or of this reality. The entire cosmos will be lit up with the light of God. The lost will not dwell in this world; they will inhabit no corner of the cosmos. They are to be banished from it altogether, cast into “the outer darkness” (Matthew 22:13) beyond the rim of reality “where being fades away into nonentity” (Lewis, in The Problem of Pain). Another objection centers upon the supposed immorality of mere retribution. The objector asks, “What is the point of punishment?” Some punishment can be therapeutic, leading to the reform of the person punished. Some punishment can be a deterrent, warning others not to sin as the person being punished has sinned. But hell, the objector points out, fulfills neither of these two functions. According to the traditional understanding of an eternal Gehenna, hell’s pains will not produce repentance in the damned, so they cannot be therapeutic. And there will be no one left not already saved to profit by the example of their suffering, so hell cannot function as a deterrent either. Surely then the only point of their suffering is simple revenge—which everyone admits is unworthy of a loving God. The objection requires us to look carefully at what is involved in damnation and what are the causes of hell’s sufferings. Once again the objection presupposes a psychologically intact person in hell, a human being as we experience human beings, persons capable of repentance. It presupposes a picture of God standing outside the prisoner’s cell, ordering external punishments, and that those punishments are the cause of the suffering. But what if the suffering is not solely (or even principally) the result of external divine orders, but the result of the self-chosen constitution of the damned themselves? If joy and life come only through self-denial, self-transcendence, and communion with God, what would be the result for someone who has destroyed all capacity for these things? God cannot give joy to someone lacking the capacity to receive it, any more than the sun and rain could nourish a flower which has plucked itself up by its own roots. The damned have chosen not to be open to the light, and so must ever be in darkness. If the damned refuse to eat the only food the cosmos provides (which is self-transcendent communion with God) they must go forever hungry. As is often said, the doors of hell are thus locked from the inside. The damned are locked within themselves, smothered by their own adamant choice, their capacity for self-transcendence eroded to nothing, and therefore are doomed to eternal hunger and misery. Like men who have torn off their ears in a fury of self-mutilation, they have become deaf to the sound of joy and incapable of receiving it. Their suffering does not find its ultimate root in divine retribution, but in their own eternally-fixed rebellion. Yet another objection comes with an assertion that human will ultimately will choose light and joy by virtue of it having been created by God. Defenders of the Church’s traditional understanding of hell as eternal have always had recourse to the dignity and freedom of the human will. Briefly put, people are free to choose or reject God, and God will not violate their freedom by forcing them to choose Him. They have the freedom to reject Him, thereby destroying their own capacity for love, joy, and self-transcendence if they insist upon doing so. “Free will is a power inherently purposive, teleological, primordially oriented toward the good, and shaped by that transcendental appetite to the degree that a soul can recognize the good for what it is. No one can freely will the evil as evil; one can take the evil for the good, but that does not alter the prior transcendental orientation that wakens all desire. To see the good truly is to desire it insatiably”. In a later note, he elaborates by saying that one cannot choose or not choose God the way you would a cup of coffee. One desires and chooses anything, he says, because one has an original intellectual appetite for God. He reminds his readers of what St. Maximus the Confessor teaches—that the natural will can will only God. Here the philosopher smacks up against the exegete. Philosophical arguments about what the human will is or is not capable of are interesting, but must take an epistemological backseat to the teaching of Scripture—and the Fathers would agree. And, as we have seen, the Scriptures are fairly clear that Gehenna’s suffering is eternal. But we must still interact with Hart’s assertions about the human will. I would respond that Dr. Hart simply underestimates the power of evil. It is true that the natural will can will only God, but no one apart from Christ has such a free and untainted natural will. To quote Dr. John Meyendorff: “For Maximus, when man follows his natural will, which presupposes life in God…he is truly free. But man also possess another potential, determined not by his nature, but by each human person, the freedom of choice, of revolt, of movement against nature, and therefore of self-destruction…this is the gnomic will, a function of the personal life, not of nature” (from his Byzantine Theology). The sad truth is that the human person is quite capable of misusing the inherently purposive, teleological, primordially oriented toward the good power of the will and perverting it into something entirely different. Dr. Hart might reply that such a thing could not be described as “free will”. I would not quibble about the term. But the fact is that a human being can reach such a depth that he does indeed will evil as evil, deliberately choosing to cut his own nose to spite his own face. Hart may reply that such a “deliberate” choice is not a “free” choice, but this doesn’t change the fact human beings are nonetheless capable of such self-destruction. Though lamentable, it is clearly observable that to see the good is not necessarily to desire it insatiably. Some people become capable of perverse rejection of the light, simply because they want to. Why did you do that terrible thing? “Because.” No appeal to reason or to joy can penetrate such self-chosen perversity. All such appeals founder on the terrible fact of the swollen and insane will. Here we come to impenetrable mystery of evil. If Hell is “so nearly Nothing”, then evil also partakes of perverse unreason. And to see evil in its essence, we must turn from debating about men and look for a moment at the devil. It is true that universalists assert the eventual salvation of the devil, or at least (like Origen) allow for its possibility. But as the devil now is, we see in him the very form of evil. At the risk of overdosing the reader on C.S. Lewis, I would refer to his portrayal of the devil-possessed figure of Weston, the “Un-man” in his Perelandra. In this figure, we see unmasked the inner nature of evil as “a union of malice with something nearly childish…Deep within when every veil had been pierced [there was] nothing but a black puerility, an aimless empty spitefulness”. In the devil we find an abyss of unreason, a perverse fixity and commitment to rebellion, even when it is known to be futile and self-defeating and leads to damnation. It is this evil, this disease, which swallows up and consumes the human will. If Christ possessed an unfallen natural will, and all men now possess a gnomic will, another term must be found for this damned will, which chooses puerile spitefulness in the face of joy. Such a will currently exists in the devil. How could one deny that it could not also come to exist in men in the next life? This is especially so since after human beings leave this world through death, they will share with the devil one thing: a direct vision of God. At one time, our tradition asserts, the devil was an unfallen angel, and like all angels enjoyed the direct vision of God. Hart might insist that to see the good truly is to desire it insatiably, but the devil once saw the good truly and he did not desire it insatiably. Instead, he rejected it absolutely, with the result that his will was transformed into what it now is—not a gnomic will like ours, capable of deliberation and choice, but one fixed in hopeless rebellion and futile spite. It seems that there is something in the combination of the direct vision of God and definitive choice that fixes the human will into its final choice. Those oriented towards the light see God after this life, and the choice for God fixes them into a place of joy, bringing healing and true eternal freedom, restoring their natural wills. Those oriented towards the darkness see God and their rejection of Him fixes them into a place of eternal ruin, as their humanity and capacity for joy and repentance utterly break apart. Their gnomic wills become transformed to a will like the devil, their souls decaying and collapsing into ash and phantom nonentity. That is why Christ condemns them into a place prepared for the devil and his angels (Matthew 25:41), because they have now become petrified ruins, devoid of hope, like the devil and his angels. It is not true that the will ultimately will choose the good because the will was created by God. The devil’s will was once also created by God, but the Scripture is clear that he will be “tormented day and night forever and ever”, as one who has forever rejected the good (Revelation 20:10). Finally, we examine the objection that the eternity of hell involves the defeat of God’s will. God wills that all men be saved (1 Timothy 2:4), and God sent His Son to save the whole world (John 3:17). How could it be that God’s will suffer defeat, and that love could not finally win? Our reply brings us to the final mystery, as well as to the necessity of asking ourselves about the nature of God’s final victory. Much of the pang and disquiet one feels about asserting that God’s will shall not be finally done comes from the fact that this flies in the face of our desire for a happy ending. By using the term “a happy ending” I do not mean to denigrate. For me scarcely anything is more important than a happy ending; the desire for one is built into our spiritual DNA, and is almost indistinguishable from the virtue of hope. Animals take things as they come; human beings hope for happy endings. A desire for a happy ending is part of what it means to be made in the image of God. That is why the Scripture asserts emphatically that history will indeed culminate in one, in what Tolkien famously called “a eucatastrophe”. Julian of Norwich declared that at the end, “all manner of thing will be well”, echoing St. Paul’s declaration that at the end God would be all in all. We have suggested above that this will be so, in that all the cosmos will be filled with the glory of the Lord as the waters cover the sea. All that is, all that exists, will then be filled with light and joy. The lost have no place there, for they will have declined into mere phantoms, fading into nonentity, as creatures who no longer are. This fact may be mourned, but it cannot stand in the way of joy. Otherwise the lost would possess a kind of veto over the saved, and their misery possess a veto power over joy. Here is the final and all but impenetrable mystery—that joy will triumph in spite of those who would wish otherwise, and the world will not eternally be held captive to wills that refuse it. God’s victory and our triumph and joy do not forever hang upon the devilish dog in the manger and the black puerility that would destroy it. Mere and sterile philosophizing might declare that the loss of the single soul means the overthrow of God’s will and the defeat of love’s sovereignty. It is not so. A glance at the final verses of the Apocalypse (Revelation 22:14-15) reveals that it is not so. In that apostolic and apocalyptic picture, outside the city are the dogs and murderers and idolaters and everyone who loves lying. They have chosen their own cramped and airless souls instead of joy, and have been pushed outside the city, into the outer darkness, beyond the rim of the world. Inside the city, God is all in all, and every manner of thing is well. Everyone in the world is blessed, for they have washed their robes and have the right to the tree of life. Love’s victory does not depend upon us, and cannot be thwarted by anyone, including the churlish impenitence of the lost. The doctrine of hell is not tolerable. But it is consistent with morality and with a belief in the love and final victory of God. Its presence in the Scriptures does not indicate an inconsistency there, but simply that reality and the depths of the human response to God are more varied and complex than philosophers might first imagine. There is a lot here to pray and think about. Thank you. Bad reasoning throughout. Merely repeating old moral arguments that have been subjected to withering critiques makes the case weaker rather than stronger. Philosophy is serious business. I must respectfully disagree with Andrew that philosophy is quite as serious a business as many think. It is not without great value; but, much like science, it limited to human comprehension. It must remain subject to the Tradition and to what has been revealed if it is to be truly useful. Nevertheless, I have to agree that many of these arguments are weak. I say this as one who essentially agrees with your overall concern. Lewis, for example, was a great thinker, but I think the approach to defense of the Tradition would be better served by appeals to the Fathers of the Orthodox Church. The example of Kalomiros immediately comes to mind (not that his are perfect works) because he VERY strongly affirms everything your critics affirm about the love of God, knows and freely quotes all the same Fathers they are fond of quoting, avoids the morality traps into which those reared in the West (including Lewis) often fall, and makes liberal use of philosophy – all while remaining true to the Tradition that I honestly believe you are attempting to uphold. I have little doubt that your heart is in the right place, and I appreciate the effort. This comment is not at all intended to be critical in the derogatory sense. Brian: Thank you for your comment. I will be addressing some of those Fathers in my next blog post. The difficulty is saying everything that might be said in a single post, or even in three separate posts. The debate in the comments section underscores the limitations of a blog compared with that of a book. No, sorry. The Fathers were just men, just theologians, and whatever their personal sanctity, they were fallible. The Church does not say any writings are inspired and dogmatically binding except scripture (and the interpretation of scripture on this point is not the easy ride hell-fanciers believe). If we went by the majority view of the Fathers in all things we would all have to be antisemites. And, if it is their sanctity we appeal to, none were ever holier than Isaac of Ninevah or Silouan. Philosophy is serious because God gave us reason, including moral reason, and unless you are some kind of Calvinist, you believe that reason is not impotent. Fr. Farley, for instance, quotes Dr Hart, but he fails to follow the actual argument. It is a subtle version of “decision theory” thinking, and it asks moral questions about God’s nature in creating that are actually unaffected by whether creatures possess the freedom Fr Farley describes. With all due respect, when a gifted philosopher makes a powerful and subtle argument, you had better make sure you understand it before you critique it. And Fr. Farley missed the point badly. I was at Notre Dame for that talk, and every objection raised was dealt with pretty impressively. Andrew: In Orthodoxy, the consensus of the Fathers is authoritative. Though the Fathers were “just men, just theologians”, Christ still guides His Church by His Spirit, and the consensus of the Fathers is how we discern this. Father, No, you are simply wrong. The “consensus of the Fathers” is a myth, for one thing. Their theological diversity is usually obfuscated by neo-patristic readings. And, whether you like Ilaria Ramelli’s book or not, it adequately demonstrates that there is no one patristic teaching on eschatology. In the twentieth century, Orthodox apologists began creating a patristic fundamentalism, which turned the Fathers into a unified party and then turned their writings into a second set of scriptures. Many modern converts to Orthodoxy believe that is Orthodox teaching (and I assume you are such a convert). As a scholar of late medieval and early modern Orthodox thought (writing my dissertation on Theophylact of Ochrida), I can tell you that that is simply not how the Fathers were understood in earlier Orthodox centuries. The model of Orthodoxy you were taught as a convert is a late modern synthesis, one that in the scholarly Orthodox world is being taken apart by people like John Behr, George Demacopoulos, and others. The only authoritative sources in Orthodoxy are scripture and the Seven Councils. The rest is theology, instruction, edification, and speculation, but absolutely NOT doctrine. To say otherwise is actually to risk heresy. If, however, you want patristic legitimacy for your eschatology, I suggest you consult the following Holy Fathers: Gregory of Nyssa, Gregory the Theologian, Isaac of Ninevah, and probably Athanasius and Cyril of Alexandria. Andrew, if the teaching that the consensus of the Fathers is not authoritative and in fact does not exist, then we differ little from Protestantism. Your favourite Holy Fathers are Gregory of Nyssa, Gregory the Theologian, Isaac of Nineveh, and probably Athanasius and Cyril. Others may prefer Augustine, Chrysostom, and Gregory the Great. Whose collection of favourite Fathers should prevail? Clearly the Scriptures themselves are not self-interpreting and Hart as demonstrated that we can even disagree about the value today of the Councils. Everyone needs a lens through which to read the Scriptures. One’s philosophy is the most subjective and therefore useless of lenses. Remember the St. Gregory of Nyssa who was a firm believer in apakatastasis was proclaimed father of fathers by the 5th Council which supposedly condemned Universalism. If the Father of Fathers believed in Universalism, that’s a pretty nice consensus. Stephen, I don’t think that the title Fathers of Fathers was bestowed as a blessing on his doctrine of apokatastasis. One can appreciate his work, sanctity, and zeal, and still disagree with some of his views. But, still, if he was Pater Patrum, and his universalism was no bar on the title being conferred, then that IS a formidable authoritative voice to heed. Hart, at least, has shown how Gregory of Nyssa’s exchatology manages to take in the whole of the scriptural witness in a satisfying way, while Augustine’s did not. So Gregory’s scriptural cogency needs to be taken into account. And, frankly, I think you are saying something self-contradictory. You correctly say different persons may prefer different lists of Fathers. That means you recognize the absence of consensus among the sources. And the “consensus of the fathers” IS a myth, at least in the way that term gets used now (as if the Fathers passed down a unified body of teaching on everything needful). To the extent that there is such a consensus, it is embodied in the Seven Councils. That is why we are not Protestants. We believe in the authority of the Church. But the Fathers are not a kind of Orthodox magisterium, much less a united front. The Councils are binding. A majority report by the Fathers, however, is not (unless you are claiming the right to declare doctrine without a Council). Sometimes the minority report may correct on some issue. Andrew, just a final comment, lest this decline into a kind of endless jousting match. Whether Hart has shown that Gregory’s eschatology is consistent with the Scriptures may be debated. Regarding the consensus of the Fathers, this looks like it requires more than can be said in a comments section. But when I said that different persons prefer different lists of Fathers, I did not mean that this act of preferential selection was legitimate. People pick and choose which Fathers they like just as they pick and choose which Scripture verses they prefer, but this latter practice does not mean that the Scriptural witness is inconsistent or self-contradictory. I grant that the term “the consensus of the Fathers” can be used in such a way as to paper over their actual diversity. But the diversity in details does not mean that a broader general consensus does not exist and is not recoverable. The teaching of the Seven Councils was promulgated on a small number of things–too small to provide an adequate lens for interpreting the Scripture. And a church-wide consensus (a consensus of the faithful, if you will) is required to identify which councils were the authoritative ecumenical ones. Why prefer the Council of Nicea over the Council of Sirmium?–only because the Church at large reached a consensus about it. We still therefore need a lens to interpret the Scripture correctly, and I believe that the broad consensus of the Fathers–the general things which the overwhelming majority of them agreed upon–can provide that lens. Anyway, thank you for writing, and for inspiring further discussion. Thank you, Fr. 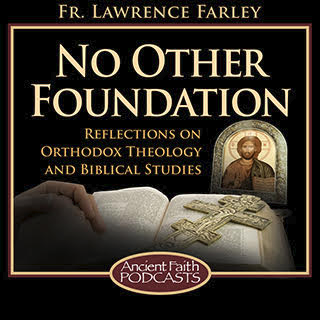 Farley, for a badly needed and highly rational defense of a traditional Christian doctrine. “The fear of the Lord is the beginning of wisdom.” When love isn’t present to govern and teach proper behavior, fear makes the next best substitute. Ask any parent. Your point about the trajectory of a bad 90 degree angle is priceless. Truly, hell is the result of millions of bad decisions and not just a few. We need to be reminded of that. Something that helps me to understand the brutality of eternal hell is when I consider the great price that Christ paid for my deliverance from sin. By thought, word, and action, everyone in hell has counted the precious blood of Christ as if it were worthless. I ask you and your readers to meditate on the great and inexcusable blasphemy of this sin. On another note, the above sparring with Andrew is exactly why I cherish my Roman Catholic roots. Whatever faults the West may have–and I know there are many–the West at least understands the process of how doctrine is carefully “distilled” after centuries of aging. As Christians, we should know our faults as well as our virtues. While the West may understand doctrine to a “Thomasinian” degree that irritates the East, the East understands true spirituality by ongoing personal sacrifice, the basis of which is charity toward God and charity toward neighbor. Orthodoxy also encourages a personal search for wisdom–but only toward its end which is charity (I Timothy 1:5). St. John Bosco and others have said that wisdom must be the handmaiden of charity. These are two very true, non-contradictory points for which I am grateful to both Andrew and Father Lawrence- a good basis for further reflection on both sides, IMHO. After all, the question as I understand it is not whether we may hope (Love always hopes), but whether we may confidently affirm and therefore teach. I for one hope, that our actions this side of eternity have a consequence for eternity. Otherwise our God is a monstrous sadist. If all are saved eventually, then all the suffering that takes place as we discuss is utterly meaningless. If all the murderers, rapists, war criminals … and the rest of us with our petty daily sins face no consequences, then that means that all the victims of our sins suffer for nothing. It also renders the suffering of all the martyrs useless, for what have they witnessed for? Why bear witness to a faith that has no consequences? It is a sort of hyper-calvinist teaching really, a pre-destination for salvation for all. If apokatastasis really is true, that furthermore removes all basis for ethics and moral and for acting according to any ethical codes. Why should we, it has no consequence? If it turned out to be true that all really are saved, then there is no logical need for Christianity – I would even say that it would be the greatest lie of all time. In which case I would be out of here at the drop of a hat. So you should be good because otherwise you will suffer excruciating tortures for all eternity? Life is meaningless without hell? One of my problems with this and with Lewis is that this is actually an argument for annihilationism. The good loving non- believers we all know, many of them better people than us if we are honest, will simply not exist except as a kind of spiritual demonic ash. Your beloved friend or relative who wasn’t a believer won’t be in hell, but some strange twisted inhuman thing. So God wipes out what was good about them, preserves the evil, and that part remains in hell forever. Donald, none of this follows from what I have said. What wipes out the good is one’s sin, not God. And I did not suggest that what damns the soul is being a non-believer, but the determination to turn from the light and refusing communion with God. Why would it work like that unless God willed it? I assume you aren’t just thinking of people like Hitler– you are presumably talking about all the normal decent unbelieving people who exist around us, again some of them better than most of us ( certainly better than me). Do we assume that when they see God, some of them turn out to be pure evil at heart and then the transformation occurs? Incidentally, if anything is going to make the doctrine tolerable it would be something like this. When I read Dante it’s hard not to feel sorry for most of the denizens, even the really bad ones. This is because they are all recognizably human. I know Dante isn’t canonical, but I suspect his version of hell is close to what most Christians have believed. Anyway, I won’t beat this to death any further. I read “The great Divorce” and it is the most humane version of Hell I’ve ever read. Not sure it’s what most Christians have taught. Donald, I think you have put your finger on a major difference between us–that some things happen which God does not will. God does not will sin, yet it occurs. I am not picturing “normal decent unbelieving people” as the ones lost, but rather people who appear normal and decent but who nonetheless hate the light and will resist it with all that is in them. Some of these are “believing people”. The dividing line is, to my mind, not drawn between believers and unbelievers but rather between those loving light (some of whom are “unbelievers”) and those loving darkness (some of whom are “believers”). True, why go on endlessly over the same ground? I will stop here, after returning to my real point. The issue of authority was a detour in a sense. My real complaint is, with all respect, your arguments here are bad arguments. You are trying to build a mansion with three matchsticks. Your style is winning, but the logic doesn’t hold. Simply saying “Time is the foundation of eternity” is not an argument, even if it sounds good to the inattentive. It just restates the same logical and moral scandal in a different, more pictorial way. Perhaps a great architect can build a gigantic castle on a foundation no larger than a pin, but the disproportion between time and eternity is infinite. And so if you really believe 70 years wandering in the darkness of this world is enough forever and irrevocably to lay the foundation of INFINITE suffering, then I submit that the God you imagine is cruel and irrational, and obviously a myth. And if you want to say I’m daring to use finite reasoning to judge the omnipotent God, I say nonsense. First of all, we have only the reason we have, and a ridiculously unreasonable doctrine morally requires rejection by that reason, not submission. But really I do not believe I am judging the infinite by the finite. Rather, I believe you are distorting the understanding of the infinite with a finite imagination. But whether I am wrong or right, your arguments here are not compelling, because they are not responding to the actual logical challenges raised or to the moral questions. You are using platitudes to deflect serious questions. Doing it in good faith, sure, but you need to make better arguments than this. Sorry to be so relentless. I’m done. I’m fairly new to this debate, important as it is, but I already don’t care for the name-calling of, well, your side, Andrew. I would ask that you take your interaction here directly to your Father confessor. I might even agree with you in some respects…disagreeing in others. But that is besides the point. Regardless of whether “you are right or wrong” …your posts here show a immense lack of tact well over the borderline of disrespect and hubris towards Fr. Lawrence. I hope you are willing to have your words and actions here illumined by discussion with your Father confessor and that whatever comes from that will settle your soul. May God bless you, and have mercy on us all. Pray for me….I have far more to confess than you in this regard I’m sure. Humility suits us all. To say a bad argument is bad or a platitude is platitudinous is not disrespectful. Neither is honestly describing the logical consequences of a bad argument accurately: irrational, evil god, etc… That is what honest intellectual debate looks like. I know Americans, especially from the Midwest, often mistake forthright debate for rudeness, but here in the UK it would all just be water off the duck’s back. I was honestly saying just how bad Fr Farley’s argument is because (don’t be offended) that’s exactly how bad I think it was. If I suggested he was malicious or stupid, that would be disrespectful. By saying instead that his argument is irreparably bad, I paid him the respect of treating him as a serious and adult disputant. So I do not apologise. I did not ask you to apologize. I asked you to take this conversation to your spiritual father. What happens there is between the two of you. Again, I would advise you to do so posthaste. It doesn’t require a debate. I advise you to grow up a bit, and seek some spiritual counseling of your own. You are confused about what an intellectual argument looks like, and much more confused about your qualifications for giving moral advice. Just another reminder to keep on topic and avoid personal comments, please. In the interest of pursuit of truth, please be advised that in the future such comments will not be posted. Dale: Thank you for the link. In an article as thoughtful (and lengthy) as Fr. Aidan’s, one cannot respond fully and point-by-point in a comments section, but at the risk of over-burdening a comments section I will offer a few thoughts. First, I think our main difference revolves around our understanding of the Scriptures and perhaps our understanding of the role of Scripture vis-a-vis philosophy. Fr. Aidan writes that “faith casts a greater light upon reality and poses new questions for philosophy”. It looks as if for Fr. Aidan Scripture poses the question and philosophy gives the answer. I would suggest that Scripture, when properly understood, gives us not “greater light” but the authoritative answer, and it is the task of Christian philosophy to explain Scripture and make its answer credible to inquiring minds. Fr. Aidan (and Dr. Hart) clearly give philosophy a greater role in the debate than I do–and I think than the Fathers would. It looks as if Fr. Aidan and I are dealing with different scenarios. For him, the issue of the eternity of Gehenna is unclear and so the universalist option is a live one and his debate is predicated upon the matter being open. For me the issue has been once and for all resolved by the clear teaching of Scripture and the matter is closed, and I conduct my debate on this presupposition. That is why I do not find Dr. Hart’s reasoning at all persuasive, since it contradicts the clear teaching of Scripture. One can debate the assertions of Dr. Hart, but not the clear teaching of the Lord Jesus. If inquiring minds think that there is something “off” about His teaching, they must rethink basic presuppositions. My conviction of the clarity of Scripture governs everything else I write about the subject. Fr. Aidan suggests that at the end of the day my suggestion that those in hell are more “remains” than persons is irrelevant, because it involves the loss of a soul either way. I take his point. But IF (grant the “if” for a hypothetical moment) Scripture teaches that souls will be lost, what else can one say? To drag Lewis in here again: “If there’s nothing [left] but ashes we’ll not go on blowing them in our own eyes forever. They must be swept up…Son, son, it must be one way or the other. I know it sounds grand to say ye’ll accept no salvation which leaves even one creature in the dark outside. But watch that sophistry or ye’ll make a Dog in a Manger the tyrant of the universe”. If Scripture teaches that souls will be lost, then we must rethink our negative reactions to it, including the adequacy of our philosophical critique of God’s love. Secondly, it seems to me that if one had to explain Dr. Hart’s ideas to a child (and could not use long words), it would come down to this: that everyone must be saved because God wants them to be and He is powerful enough to get His way, and that it would be terrible if anyone were to be lost. People as learned and eloquent as Fr. Aidan and Dr. Hart make the point at greater length and in more detail, but surely it comes down to this? If I am wrong, then I would appreciate the argument being made in such monosyllables as a child could understand. As it is, we seem to disagree about in what God’s power consists. Dr. Hart, for example, believes that the distinction between natural evil (such as an earthquake) and moral evil (such as murder) is “a worthless distinction, really, since human nature is a natural phenomenon”. This seems to me to minimize the importance and power of the will, reducing it to the same categories of non-moral nature simply because God created both. Here Dr. Hart expresses a central difference between his view and mine, for I believe that God’s power and humility are revealed in His creation of creatures capable to resisting Him, while he believes that such would overthrow His power and love. Finally I would like to appeal for less ad hominem “heat” (forgive the metaphor). Dr. Hart uses the term “infernalist” to describe my position (and even refers us being members of a “Hellfire club”–presumably with St. John Chrysostom as our president?). Surely such name-calling can be avoided in such an important debate? My position is not so much “infernalist” as “traditional” or (if one prefers) “classical”. Sometimes people suggest that one adopting it have a “complacent satisfaction with a particular notion of tradition” or that they even take delight in the thought of people being lost forever. Some (such as Tertullian) probably do, but such an attitude is not required by nor found in everyone holding to the traditional opinion. One can find the particular notion of tradition both intolerable and true. I so wish I had the intelligence and erudition to have written the cited article; but alas–I am but a mere priest. The author is Dr Brian C. Moore. Oops. Indeed it was. All that I have read from you seems equally intelligent and erudite, and I hastily leaped into the article itself without reading the authorship, though it was plainly printed above it. Thank you for the clarification, dear Father. This is key – Hart (who I take to be a head above Fr. Aidan, Moore, and the others as far as the acuity of his philosophical critique – no surprise, he is undoubtedly the smartest guy in the room of every room he has ever walked into) is in this instance a moral philosopher trying to make sense of the Christian story. As such, his Orgenistic “return/recapitulation” with it’s moral necessities (i.e privileging the Tree of the *knowledge* of Good and Evil over the Tree of Life, which in the Christian story is in the form of the Cross and therefore is literally incomprehensible to the moral mind) leads him into a corner (just as it does Doestevsky’s Ivan) and their are only two solutions (which is another indication of Hart’s dialectical – that is philosophical – foundations): either reject God outright as Ivan or morally define Him and his Love in such a way that eternal Hell is impossible. There is simply no other possible solution to his moral calculus, and thus part of the Tradition becomes “semantically empty”. Thank you for this deep analysis Father. It fits with so much of my own reading of the available evidence (patristic, scriptural and philosophical). It might be a bit of a movie cliché but I am drawn back to those vampire horror films where someone lovely and normal is infected by the vampire ‘bug’ and turns into a merciless killer totally devoid of any of their former self and identity. You see a former loved one looking aghast at the transformation before them as they turn to someone and say, ‘this creature is no longer my wife/sister/brother’. The loss of humanity and the total transformation into pure evil stimulates disgust rather than pity. This is how I imagine the ‘undoing’ of the person on a sort of descent into de-creation. Not destruction or oblivion but a concentration of residual evil. If we then consider how the fallen Angels have followed this path already and are in the process of eternal de-creation into pure evil it actually fits with the (again) horror cliché of the ‘possessed’ zombie. Basically we know pure evil when we see it and we recoil from it in horror. We see no humanity in it to mourn or pity. I didn’t read to the end before posting, but you have identified precisely the point that I find bizarre about this article and Lewis’s piece. Yes, if anything can make the doctrine of hell tolerable it would be this notion that your beloved unbelieving friend or relative transforms like some character in a movie into a demonic vampire- like creature. “Buffy the Vampire Slayer” actually had characters like that and it was amusing to contemplate silly teenage girls who still had some of their personality, but we’re now sociopathic killers. The show wasn’t quite consistent on this, because some likability and bits of compassion still survived in some of the vampire characters. But to make this hell argument work, all the good stuff goes. So in essence, God destroys what was good about the person and then throws the vampire into hell. I don’t think this actually matches how hell is described, from what I’ve read. It seems more like a moder invention to make it tolerable. If anything, it makes the doctrine of hell less scary– if you are a cheerful unbeliever you get annihilated and some demonic scarecrow version of you is damned. Donald, once again I repeat, God does not destroy what was good about the person; this is the end result of impenitent self-determination. If a fruitful discussion is to be possible, we must all read to the end of the other’s contributions before posting. I meant I hadn’t read to the end of the thread, so I didn’t realize someone else had made the pop culture connection to vampires. I read your post. As I said above, I’ve read Lewis and know you and he would say the lack of penitence does the destroying, but find this all somewhat implausible. Why would ordinary people with virtues and flaws who see God transform into hate filled demons? And now I will shut up. Donald, no need to shut up. I appreciate your comments. Donald, I’d ask how pure and good intellectual spirits, who stand before the throne of God, could choose to descend into hate filled demons (literally). Because they Will it. That such an outcome is possible is unfathomable, but that it happens is shown. To whom I will liken Andrew? Andrew is like those Pharisees seeing clearly our Lord healing by the power of God and saying that He did cast out demons by Belzeebub. In the same manner, the Lord has said that the fate of the unrepentant is the Gehenna and eternal torment, but Andrew says that He promised universal salvation. But to whom I will liken Andrew? Andrew is like the annoying plethora of non Christians who keeps on lecturing Christians about what it means to be Christian, pointing out all the things Christ (and His Church) got wrong, before their salvific coming to the scene with their typical humility to rebuke and correct Him and all His Saints. To whom then I will liken Andrew? Andrew is like all those spoiled souls who have mistaken Christianity for a shopping mall. They take what they like and leave the rest. And if they really do not like that rest, they will scream and pretend to change it. Otherwise they will change place of shopping. They forget that they do not come to the Church to be pleased and assured in the fantasies that overcrowd the vanity of their minds, but to please Christ, and if they leave their apostasy is all that they can take away with them. To whom I will liken Andrew indeed? Knowledge puffs up! And Andrew is just like one of those balloons puffed up by hot air and go up and up in the heavenly places, where at the due time they will get punctured at one of the toll-houses and crash down in the place that will prove them eternally wrong. Just a quick and gentle reminder to all that the comments section is intended for reflections, clarifications, and replies to the original piece. We need to avoid personal responses to each other, and not become distracted from the brotherly and theological tasks at hand. I have found Steve Gregg’s book: “All You Want To Know About Hell: Three Christian views of God’s final solution to the problem of sin”, very helpful. IMO, a clear scripturally supported presentation of the classical/traditional, the conditional/annilationist and Universalist views. I remember briefly paging through that volume on a bookstand in the Regent College bookstore. From what I remember it was indeed a fair and worthwhile presentation of the various views. Thank you so much for this beautiful–though hard–post. It blessed my troubled heart this afternoon. Question: Do you consider the anathemas of the 5th council attributed to Justinian as a “valid” or “binding” on us Orthodox? If so why? If not why? If uncertain why? Ian, I do consider them binding in that I believe that whether or not they formed part of that council’s deliberations and canons, the council Fathers knew of them (as even Metropolitan Kallistos acknowledges), and this knowledge may be taken as providing the rationale for why they condemned Origen by name in one of their (undisputed) canons. In other words, in the same way that Pelagianism was condemned in 431 at Ephesus with no explicit mention of what exactly Pelagius and Celestius taught, the condemnation of Orgenism included in the minds of the Bishops at the council universalism–even if this was not explicitly mentioned in the official canons of the Fifth Council. And proof of this is the fact that Justinian’s canons were clearly known by the Bishops at the council. I seem them as being similar to Pope Cyril’s 12 canons against Nestorius which are officially dogmatic to Orthodox, but are distinct from the actual canons of the Third Council . Is my understanding correct? And by “universalism” I meant all forms of it, not just Origen’s version. Ian, if I understand your question, I would say: yes, the bishops of the fifth council were condemning Origenistic universalism in particular, and therefore universalism in general. I am reluctant to draw parallels to other councils. Of greater significance than the precise historical question of what was or was not in the mind of the bishops is the fact that the Church since that time has interpreted the council as condemning universalism. If the intent of the Council was, in fact, a full, complete consensus on the rejection of any notion of an apokatastasis, viz. St. Gregory, as in “they were aware of the anathema’s of Justinian,” then why would they create the confusion of specifically honoring a Father (as “Father of Fathers”) who so famously taught otherwise? No. I think the only reasonable approach is to recognize that this topic has more “play” in it than you are asserting. There is certainly room to “hope,” as Met. Kallistos has so clearly stated. The topic of death, hell, judgment, etc., became major themes in the Catholic/Protestant debates and both groups worked out very careful and precise schemes for all of that. I think that such a careful and precise scheme is not found in Orthodoxy and that our prayers show it. We may pray for all (and in fact do). And if we may pray for all, we may hope for all, else the prayer would be absurd. It is not a blight on Orthodoxy to admit that there is more “fuzziness” about this than you would find in either Rome or Protestantism. Both of them have said too much and said it incorrectly. I think it also possible for us as Orthodox to say too much and say it incorrectly. I hope is in Christ. If I am the worst of sinners, and I may hope for salvation in Christ, then I may hope for all. Are you saying that the questions regarding the Council are so utterly clear that we must consider such hope to be heresy? And if it is not utterly and completely clear, then we may hope. Hello Fr. Stephen! Welcome to the discussion! I would suggest that the title “Father of Fathers” was bestowed on St. Gregory largely because of his Cappadocian role in vindicating and refining Nicene Trinitarian thought, and that it has little bearing on the issue at hand. I don’t think that a later bestowal of such a title (from the 7th council several hundred years later, as you mentioned) could be viewed as creating confusion on the earlier topic. I agree that the intent of the Council was not a full and complete consensus on the rejection of any notion of apokatastasis, though I think that such a rejection is a valid inference from their rejection of Origenistic universalism, given the Imperial views rejecting universalism in general. My main point does not center on the decrees of the fifth council itself, but in the subsequent consensus of the Church regarding that council. Whether or not the Church at large was historically correct in thinking that the fifth council actually condemned universalism in general, the Church at large did condemn it, quoting the fifth council, and this later consensus must be given its due weight. I agree that in our liturgical prayers we do pray for all the dead, given the impaired state of our knowledge about people’s souls after death. But those prayers do not include the devil and the demons, even though universalism often asserts they will be saved also. If Christ has clearly said that all will not be saved, then hoping that they will involves ignoring the plain teaching of Christ. My rejection of universalism finds its center not on questions about what the fifth council and its Fathers did or did not intend, but on the later consensus of the Church and especially on the clear teaching of Christ and the Scriptures which form the basis for that consensus. This is an important point I think. Fr. Stephens thoughts on this. Is it not Isaac (and not Gregory) that speaks of the ultimate salvation of the Devil (as well as perhaps some more modern Saints)? If we do not have corporate prayers for the Devil in our services/hymns, etc., then are these Saints acting on their own experience of God, and if so how is this different from a kind of gnosis (personal revelation) that the Church rejects under normal circumstances if I am not mistaken? Christopher, I’m not enough of a scholar to know if Gregory’s admiration for Origen meant that he included the devil in his vision of an ultimate apokatastasis. Quotes from Gregory on this topic would be appreciated. My guess is that saints like Isaac and Gregory (and I suppose, come to that, thinkers like Origen) were expressing opinions, guesses, and speculations when it came to universalism. That is, there was a a degree of tentativeness attached to such opinions not present in (for example) their Christological assertions. Our task is to determine the mind of the Church through the ages, the consensus of the faithful, and the opinions of these saints do not express this consensus. We can still value them and their contributions while turning a charitable blind eye to their mistakes. Nobody bats a thousand. I meant so say “I wonder what Fr. Stephens thoughts on this are” because I take your point – we don’t pray for the Devil that I know of (in our services, hymns, etc.). So, this seems to impact Fr. Stephens logic that since we pray for it, it is possible (granted – it would be absurd to pray for the impossible) so why don’t we pray for the Devil in our normalized corporate worship (which is the source for the Church’s theology)? Could it be because the Church is not universalist? If that is the case, then those saints who do speak of the salvation of the Devil are doing so based on what? A gnosis/experience the Church does not have access to? I thought such things are signs of delusion and rejected. Do our Saints have access to “Special Revelation”? Sorry if I was unclear. I think I understood your meaning, and I completely agree with you. I appreciate all that Fr. Stephen writes and would be happy to get his thoughts on this too. See my post below, but coming at this with a background in classical philosophy the council did not seem to touch on what Origen and Nyssa actually thought at all – they were condemning a robust neoplatonism, and Origen/Nyssa (from what I have read) are actually something different. I would say that “Origenism” as found in Origen, Nyssa, Isaac and Hart (for the purposes of this discussion) is something more subtle than the “Origenism” condemned by the council, so in the end I admit a certain curiosity as to what the council was actually doing – this is before any historical “scholarship” as to what was and what was not actually part of the council, etc…. What part of that do you find ambiguous? I don’t find the Synodikon “ambiguous” at all. What I do find “curious” (which is not the same as “ambiguous” you will note 😉 ) is the “Origenism” condemned. My reading of and grasp of “The Fathers” is limited (and so is everyone else’s – few and far between are the real “scholars” of the Fathers) but I have had reason to read more Origen than I ever wanted. What was condemned by that council is not “Origenism” in any form I am aware of, rather it is rather sophomoric and standard neoplatonism. Origenism rests on neoplatonism fer sur, but it is more deriviative and is more of a method (of doing Christian theology) than a unsophisticated restatement of neoplatonic metapyhysics. It is almost as if the council went out of their way to condemn something else than the Origenism found in Origen, Nyssa, Isaac (and their modern day heirs such as D.B. Hart). This by the way gives a crack to these modern day universalists (as if Nyssa and the rest are not enough) and they do take advantage. I also want to mention Fr. John that I thought your treatment by D. B. Hart over on Fr. Aidan’s Kimel’s blog was uncalled for. Hart is very obviously emotionally invested in his universalism, and is a bit of that high brow and arrogant academic that the world has so many of. Frankly, he owes you an apology. That weakens the precision of my point, though I think it still stands in generally. If Justinian’s anathemas were considered final and authoritative, it would seem odd that St. Gregory should get such a pass. The topic admits of some daylight. Again, you phrase the sense of “no hope” in a way that would place St. Gregory outside of the bounds of Orthodoxy and in error. That, I think, goes too far and says something no council has ever said (I could say as much of Isaac as well). And though I’ve heard some suggest an Isaac/Nyssa/Hart axis of error, I am astounded to see two of the major fathers of the Church, one the “Father of Fathers,” and the other, one of our most important hymnographers, associated with error and excluded from the ranks of the teachers of the faith. You suggest that the 7th council only meant to applaud Gregory on his Nicene Orthodoxy, but, that seems to be reading the mind of the council in a manner that transcends our pay-grade. The simple fact is that certain Fathers of the Church, considered of major importance, held to a non-Origenistic doctrine of the apokatastasis, and do so as Fathers and teachers of the Church. That fact, in and of itself, admits of a “crack in the door,” and the permissability of hope. To exclude such hope, no matter what consensus is claimed, goes beyond the councils, and closes a door that the Tradition seems to have left open. In short, we should not say too much, one way or the other. Fr. Stephen, thank you for comments. Others Fathers (such as Chrysostom) regarded the teaching of the Scriptures as clear enough; here I am simply agreeing with them. I do not believe that to say the St. Gregory erred in this matter thereby excludes him from the ranks of the teachers of the faith and places him as a person outside the bounds of Orthodoxy. Rather it only underscores my contention that nobody bats a thousand, and therefore we need to look at the consensus of the Church/ Fathers as a whole. So this is certainly narrower than saying St. Gregory is “outside Orthodoxy”. As to “hope” that does not rely on Origen as say Bishop Kalistas defines it (though I am going from memory – perhaps he also owes something to Origen), I see a difference between that and the full blooded theological reasoning of say Hart. Also, while Hart does not cite in detail his debt to Origen (though it is apparent in his method), he explicitly acknowledges this debt in his latest paper. And Metropolitan Hierotheos (Vlachos), being both a Greek and a Patristic scholar of the highest caliber, reads this as an explicit denial of universalism too. I well understand you point. However, you are using your own declaration of a consensus to not even let St. Gregory (and others) have a turn at bat. Without a specific condemnation of such Fathers, then we cannot say that those expressed teachings are out of bounds, no matter their minority status. The Church has a method and mechanism for declaring something to be false, and has not used it in this case. However, you are proposing such to have been done on your own reading of a supposed consensus. To use a more contemporary example: Moscow condemned the Sophiology of Fr. Sergei Bulgakov (and he recanted). They did not, however, condemn his clear teaching on the Apokatastasis. Why is that? No. I think that, again, you have closed a door which the Church has left open, and you can only cite a perceived “consensus” to do so, where the Church has repeatedly and formally not done so. I think this is an error in judgment. I can well understand that, on the basis of various fathers, and your understanding of Scripture and Tradition that you are of the opinion that there is no Apokatastasis. But this represents an opinion, and not a statement of what the Church has said and enforced. And the two are very different things. We are right to dogmatize. We should neither teach what the Church has not taught, nor condemn what the Church has not condemned. Thus, I think the same latitude as the Church has given to St. Isaac, St. Gregory, Fr. Bulgakov, and many others in its history, should be extended to Met. Kallistos Ware, D.B. Hart, Fr. Aidan, et al, who have expressed an agreement with such figures. It is quite one thing to say that “I believe the weight of opinion to most strongly support x,” and another to say that “the consensus says that this is error.” We run the danger of trying to be more Orthodox than the Church. I think we view what constitutes a consensus differently. Any number of views can be considered outside the consensus even though they haven’t been formally condemned. (At the risk of opening up a can of worms, I would suggest that the possibility of the ordination of women to the priesthood is one such view.) The “weight of opinion” since the time of St. Gregory (expressed also in the Church’s hymnography and iconography) constitute such a consensus. St. Gregory (and Origen too I suppose) have had their turn at bat. The Church since their time has decided that in this detail they were mistaken and has not followed their lead. I note too a difference among universalists. Some like Metropolitan Kallistos merely ask the question, “Dare we hope for the salvation of all?” and want to leave the door open to the possibility that all will be saved. Others, like Dr. Hart, are less tentative and strongly assert that all will in fact be saved, arguing that unless this were so God would be immoral. IF the apokatastasis is but a hope of something possible, why do Dr. Hart and others assert that it is a certainty and dismiss those who disagree as “infernalists” and members of a “hellfire club”? It would be helpful to the debate to know which kind of universalism one is debating. Is he not problematic (compared to say Nyssa and Isaac) in that “his case” was in a very difficult period of the Russian Church? Also, I thought it was the church abroad that condemned him in this area – does Moscow itself have an official position (pardon my ignorance here)? At the risk of sounding like a modern Orthodox universalist, this anathema is against a particular form of neoplatonism – the robust “metaphysical” beliefs of One vs. Many, demiurge, pre-existance, etc. I am not at all convinced Origen himself ever believed in this, and if there was such a strain of “Origenism” then it was rather extreme. The Origenistic thought of Origen himself and of Nyssa, Isaac, and D.B. Hart however is more subtle and is more a way of doing Christian theology than any belief in neoplatonic metaphysics as such. In fact, it is almost as if this anathema is a ruse designed to condemn the obvious unChristian neoplatonic metaphysic while leaving the significant thought of Origen/Nyssa alone. There is a Latin phrase I heard once (and can’t remember) that says something about how the *order* in which you do your theology is as important as the content. There is a subtle dialectic in Origen (and in Hart) that leads them down *necessarily* certain roads, where the Tradition of the mystery of Judgement and Justice get’s denigrated as “infernalist” and explicitly opposed to the Tradition of His Mercy. The Church has ever since been under the impression that the 5th Ecumenical Council condemned universalism, and up until the 20th century, such views we unheard of, and remain the vice of a very small minority who seem to chafe at the obvious meaning of the Scriptures, as confirmed by all the patristic commentaries on these texts. Not a translation thing, I think, Christopher. It is indeed language the Church uses. Of course, the primary source of that language are the parables of Jesus. We sing about things in the parables (Lazarus and the Rich Man) without thereby conferring some ontological status on them. It is, indeed, a live question about the precise meaning of such language. I can only assume that St. Gregory and St. Isaac sang pretty much what we sing (heck, St. Isaac probably wrote some of it). But they must have had a different approach in mind when they did. Some note that none of the Fathers ever describe hell as “aidios” – which carries the meaning of forever without end, but only say “aionos” which can carry the meaning of “until the end of the age.” They do, interestingly, seem to make a difference between the two, and refrain from ever calling hell “aidios.” There may indeed be a translation issue. Some of the Fathers (wish I was a Patristics encyclopedia) do make a point about the hortatory use of some imagery. That it serves to encourage proper behavior. I have seen it suggested that this is, in fact, the primary meaning of those texts. I certainly mean it when I sing those texts, and assume that they apply to me. As I have written elsewhere, if anyone is condemned I must place myself beneath them. Thus my hope for the salvation of my own soul, necessarily leaves hope for anyone else. Fr. Lawrence, it is unfortunate that perjorative terms such as “infernalists” and “hellfire clud,” has entered the conversation. And you have a very important question regarding the exact nature of what is being said and a distinction around saying it in a manner that makes it necessary. The conversation is worth having, regardless, and I’m grateful for this forum to have some of it. Thank you, Fr. Stephen. I am grateful to have someone of your stature as part of the conversation. Christ spoke of the punishment of the wicked as being just as everlasting as the life of the righteous in the parable of the Sheep and the Goats. We, who are alive, do not (as a matter of course) exist within the Kairos time space but on the Kronos timeline. Thus, from our perspective, the final judgement is not yet and there is everything to hope and pray for. The Spirits and the reposed (good and bad) move into Kairos existence so their fate is a mystery known to God and maybe them (depending on how the final judgement occurs in Kairos time). The only window we have as to their fate (glimpse of Kairos from Kronos) is the revelations that God permits. So we are aware of the agency of the Angels and the Demons (and their state is fixed) and the ‘state’ of the Saints (which is also a fixed realty). So we pray TO the Saints thus revealed (and not FOR them as we know they exist in bliss) and we pray to the Angels likewise. We know there is no hope for Satan and his Demons so have no prayers to or for them. For the vast number of the dead we basically have no knowledge so are free to pray FOR them. I’d suggest even Judas and Hitler are permitted by God to receive prayer for their salvation. The realist in me says that, seeing how the demons used free will to reject God, it would be reasonable to imagine humans could choose the same path. The hope within me desires that none I love and know will be among such so I pray for them. The outcome I can then peacefully trust to Christ the perfect Judge. Richard, like you, I have no idea about the states of men’s souls when they die, and so I am happy to pray for everyone, hoping that they may be saved. I think this is the point of our prayers for those in Hades at Pentecost Vespers. I could pray for Hitler (recognizing it as a great long shot), but less comfortably for Judas, since it looks as if Christ has already revealed to us that he is lost. Ultimately of course we trust Christ, the just and merciful Judge, and leave everything with Him, as you said. 1. Mr. Jobe and I seem to part company on the authority of Scripture. When he says, “appeals to authority skirt the epistemological problems with such authorities such as infallibility and the unchangeable nature of Christian belief and practice, which are hardly tenable from any philosophical point of view”, it looks as if he is denying Scripture’s supreme and final authority in the Church, and here I can’t follow him (nor could the Fathers). 2. I quite take his point that some interpreters of the texts involved in the debate have “departed from the general tenor of biblical rhetoric on the subject of the eternal punishment of the wicked”, which texts do indeed affirm “the fiery wrath of Almighty God”. I do not avoid affirming that God has fiery wrath against sin. My only point here is that such a wrath is consistent with a notion that the lost are “ontologically diminished” in Mr. Jobe’s brilliant turn of phrase. (I hope he will forgive me if steal it!) Here I agree with St. John Maximovitch (cited in my following blog piece “The Fathers and the Fire”): “Woe to a man if sin has become a part of his nature: then the fire will burn the man himself…” I quite agree with Eric that this discussion must not shrink from examining the consistent teaching of Scripture about the wrath of God. I really enjoy reading through the comments posted on this blog I find that I learn more through the dialogue than the actual article (no offense Fr. Lawrence). So far I’m learning charity (which I really need). I would like to make a brief observation that I think just can’t go without saying and perhaps it’s obvious to others. Who’s interpretation of the past do we trust? Fr. Lawrence, Fr. Stephen, The Church, The Councils, the Father’s, The Consensus? It seems on some level most everyone in this thread in some way or another is using a rather modern approach to the facts concerning the fathers, and the councils themselves. I really enjoyed Fr. Stephen’s work recently regarding this modernist problem when approaching ancient texts specifically the Scriptures. I can’t help but reflect and forgive me if this seems a bit off topic on my own relational experiences in life. How often are we correct about the history in the relationships that surround us? I’m wrong a lot. How much do we truly know concerning what is visible? How little do we truly know concerning what is unseen? I’ve come to appreciate Fr. John Behr’s reflection on how little the Disciples themselves saw when face to face with the incarnate one. Also I find it quite interesting Fr. Lawrence how you repeatedly state that Eternal Conscious Torment is the clear teaching of Christ. Let’s be honest there are a lot of things that Christ said that seem to be clear for example remember that bit about “if you deny me before men I will deny you before my Father”? Evangelicals have built and entire theology and dogma on it. Oddly enough St. Peter did this denying not once but thrice! Yet we have Christ stating days later that Peter is the Rock upon which He will build His church. How is it that we pay such honor and give such prayers to men who repeatedly got the incarnate one so wrong? What do we say of such men such as St. Thomas? What sympathy our Lord showed him in the face of disbelief, what hope he gave for those of us that have not had that same opportunity; perhaps our hope is that we all will have that opportunity. It seems that what really is at the heart of absolute certainty on either side is the EGO. A desire for epistemological certainty that simply doesn’t exist. Do we really believe there were men that walked this earth that possessed such certainty? The truth is I’ve never met a single person who in sincerity can honestly make such a bold claim nor a group of people who could either. Eric says this in a much more sophisticated way, but I think he makes points that resonate with me personally not just theoretically or philosophically. But in the words of DB Hart I’m not a Triumphant Fideist even though I’ve tried so hard to be one. I wonder if those who believe that Hell is eternal believe it not so much because a Council has stated it, or the Fathers consensus, or even because of the clear teaching of Christ; but rather because those who believe it are confident that they aren’t going. Gents if we truly believed we are deserving of hell and that we and we alone are deserving of it, how could we not hope that God would have mercy on all, how could we not hope that like St. Thomas Christ would grant us to touch His wounds, and be healed by them as St. Thomas was. I have heard so many arguments on this topic but if I’m honest I’m scared, because I really don’t know how awful I am but Jesus does. I’m scared I won’t be loved, I’m scared that God really isn’t more loving than human beings. This is a very thoughtful reply. Thank you for sharing it with us. Isaac, thank you for your thoughtful words. Just a quick tangential response to one part of it. Christ’s words about denying the one who denies Him refer to a continual and final denial of Him throughout one’s life. If one dies denying Him, He will indeed deny that person on the Last Day. Peter found forgiveness because he repented of his denial before the end. Peter’s personal weaknesses (manifested again and mentioned by Paul in Galatians 2:11f) reveal that the honour and prayers we offer him are offered to him for his apostolic witness and his martyric end, not his individual personality. Father Lawrence with all do respect that’s a highly speculative answer and also seems to be a bit conflicting when I consider the Paschal Homily that proclaims that our Lord emptied Hades. It’s like saying hey all those folks before Christ they got a second chance, but now after Christ you people who have never seen Christ better figure it all out before you die otherwise it’s the axe. Also did Jesus say that there must be a “continual” denial? Where does it state that “clearly” in the text? I think you may be missing the thrust or force of my argument. So let me pose some questions that you may or may not be able to answer. First why is it that St. Thomas gets to touch Jesus’ wounds in the face of doubt and I don’t? Why is it that the disciples who after all abandoning Jesus when they witnessed miracles, people being raised from the dead, etc. get another opportunity to have their eyes opened through Christ’ revelation on the Damascus Road? I’m grateful that you brought up Galatians too because it seems Peter is still going back and forth, still mixing things up and getting things seriously wrong from time to time. What does this honest account of the disciples really tell us? Does it paint a picture of a God who will turn from us on the day of Judgement if on our last breath in this short time of life we get Jesus wrong, or mistake Him for something or someone He isn’t? If this is so how do you make sense of Jesus descending into hades to those who had died and emptying hades? Is this act only pre resurrection or is Christ continuing to do this for those who have died post resurrection? What you seem to be doing Father is speculating on things that aren’t really dogma or clear from everything I’ve read. I think it’s apparent as there are many people within Orthodoxy who don’t agree with much of what you have stated in your blog. It seems you continue to try to force Orthodoxy into dogmatic corners She has never gone. Please help me find where a Council has declared that a sinner has up until the time of death to deny or not deny Christ and if that sinner in fact denies upon death the same will be so on the day of judgement. If you can’t present that I really think you should quit saying things are clearly taught by the Church or Christ that at this point are simply a matter of your opinion. Isaac, I’m not sure how to answer because I’m not sure what you are saying. Are you saying that when Christ said He would deny those who denied Him He was mistaken, bluffing, or lying? If not, then how do you understand His words? This really is the root of my problem with those espousing universalism. People like Dr. Hart spend much time philosophizing, but little time interacting with the Scriptures themselves. Fr. Lawrence I am not saying Jesus didn’t mean what He said, your comments show truly how far removed or misunderstanding you are from the actual arguments presented by me and those who are of the Universal Hope or those who affirm with confidence Universal Restoration or Apokatastasis. If the arguments put forward by Origen, St. Gregory of Nyssa, St. Isaac, Met. Kalistos Ware, DB Hart, and countless others inferred Jesus was lying they wouldn’t be Saints nor would they have such a resounding voice within Orthodoxy. Those of the Universal Hope don’t take Jesus any less seriously than you. Also why do you think DB Hart spends little time interacting with the scriptures? Do you know he is publishing his own translation of the New Testament? That is quite a project for someone who spends little time interacting with the scriptures. According to DB Hart he has found far more scriptural texts that support the doctrine of Apokatastasis than those that support ECT; so someone who has spent some time actually engaging with his published work wouldn’t make such a poor caricature of DB Hart as you have. His entire argument for the telos of humankind is rooted in the revelation of scripture of Creatio ex nihilo. Let me try to clarify what I am saying it is quite simple. You are speculating on whether or not at the final judgement people will still freely choose death or evil, you are speculating that our denial of Christ in this life is indicative of our denial of Him in the age to come. Even more so you are basing your claim not on any dogma or Council but by virtue of your own opinion. As a friend named Brian has said “The Cross of Christ and the descent into Hell is the silent, companionable presence of the loving God, an intimacy both stranger and deeper than we can imagine or think. Any appeal to authority that lacks sensitivity to the elusive and to the mysterious power of love is ultimately tied to an idol of God.” I used the example of St. Peter as an example of the mysterious power of love that transcends our Lord’s admonition of denying Him. Our Lord’s acceptance of us is not contingent of our acceptance of Him, His posture remains immutable, for it is Christ who loved us first, and Christ who chose us first. Just think or reflect on how St. Peter must have felt when he encountered the risen Lord. I can only imagine the guilt and shame he must have felt that day, perhaps the same guilt and shame I will feel when I meet the Lord face to face on the day of judgement. Like Peter perhaps I could say at one time in my life I understood Jesus correctly, but in the final hour I have denied Him, I’ve denied Him when the pressure was on. What you seem to discount here too is why sane or rational creatures would deny life, freedom, and hope? Which touches on the question of whether or not we are truly free in this life in the truest since, and I would contend on some level we aren’t. So your question was how do I understand Christ’ words; I understand Christ to mean what He means, but I don’t speculate with certainty that all men on the day of Judgement will deny Him. I am hopeful that all men won’t, and that Gods desire for all to come to the knowledge of the Truth and repent will be realized while at the same time man’s freedom (genuine freedom in the truest sense) is still in tact. Every knee will bow and ever tongue will confess Christ. (Phil. 2:10). Thank you for answering my question. I still maintain that you misunderstand the meaning of Christ’s words here. When Christ spoke of men denying Him, He referred to a denial made in this age, not on the day of judgment. His words were intended as a challenge for courage here and now. My lament about those who philosophize to the detriment of Scriptural interaction was not aimed specifically at Dr. Hart (though I did find little exegesis in what I have read from him and his handling of Paul in Romans had more rhetoric than substance). I meant that most of the universalist arguments I have read (including in the comments to my four blog articles on the subject) involve long philosophical arguments, and little sustained argument about what the text of Scripture actually says. It is perhaps significant in this regard that the one blog article of mine which strictly pertains to exegetical matters (“What Does Aionion Mean?”) has received 4 comments, while the one investigating the matter philosophically/ non-exegetically has received 72 comments. Such a focus lends colour to the view that universalists do not take the text with sufficient seriousness. For me (and for the Fathers) the question is primarily exegetical. Fr. what I have also pointed out is the Paschal homily that involved people who died during the incarnation of Christ. What about those who denied Christ during his incarnation prior to His resurrection? Do not the Gospels reveal an entire human race who denies Christ? Are we to assume that during Christ 3 years of ministry not a single person who encountered Him died after denying who He was? It seems if we take the Paschal homily seriously we are faced with serious obstacles in the exegesis you put forward are we not? These people in hades get an opportunity post-mortem to no longer deny Christ. If this is true the pashal homily already adds loopholes to Christ’ words for those words only have baring on the souls on the earth after the resurrection rather than those prior to it. I will gladly when I have the time offer scholarly work that has been done when it comes to the Greek word you wrote an article about, but that is what I can do at best as I don’t speak Greek nor am I a Greek scholar. Ramelli spends a significant amount of time dealing with the Greek word in question, but I don’t think that will close the matter any more than metaphysical claims, or philosophical arguments. At times it seems to me I’m dialoging with a Protestant due to the fact so much weight is placed on scriptural exegesis, but since scripture must be offered let me offer some scriptures that can be interpreted to offer a Universal Hope for mankind. What damns or saves one is one’s final rejection of Christ, regardless of the time in which one lives. Thus Judas was not saved even though he died before Christ was raised, because he died turning from Christ. The Paschal homily to which you refer was of course ascribed to John Chrysostom, who explicitly denied universalism. It is therefore improper to interpret his words there in such a way as to make them affirm what he denied. The harrowing of hell in which the righteous of former days in Hades were liberated, refers only to the righteous. Thus St. Cyril of Alexandria, commenting on the relevant passage in 1 Peter 3:18f: “He preached to those who were in Hades also, so that He might save all those who would believe in Him…However the souls of those who practised idolatry and outrageous ungodliness, as well as those who were blinded by fleshly lusts, did not have the power to see Him and they were not delivered.” Placing weight upon the Scriptures does not make one Protestant, since the Fathers also placed such weight upon them. Perhaps we could dispense with such ad hominem approaches? Here is the actual homily which I’m sure you are quite familiar with …. If hell is overthrown and “not one dead” remains in the grave—if Christ is the firstfruits of the resurrection of “all who have fallen asleep” please help me to understand how what St. John is saying doesn’t reflect hades or hell being emptied which is exactly what I’ve already stated? Also I don’t think the fact that hades was emptied on that day makes St. John Chrysostom a Universalist, but it does however present serious problems with your exegesis concerning a human beings ability to respond to Christ post-mortem. Also you are also suggesting or implying that saints were incapable of contradicting themselves which I’m sorry father it just isn’t true; Saints have often times contradicted themselves. What you have done is limit the scope of the meaning of that particular passage to one specific age it seems namely the age of human beings post resurrection which you and I both know can’t be deducted “clearly” from that text. I’m saying to you the text applies outside of time, but it has to also be reconciled with everything else that Christ has said concerning His posture and attitude towards sinners. To be a sinner is by virtue a denial of life, which is the same as a denial of Christ the two go hand in hand. Christ after all is the way, the truth, and the LIFE. But God’s infinite posture towards His human creatures is love and a desire for reconciliation. Stories of people responding to Christ post-mortem are actually contained within our stories of Saints which you will also need to engage with. Unfortunately I don’t have the quote verbatim but in “The Mystery of the Faith” Met. Hilarion tells a story of a Saint who prayed for an evil emperor during his life and after his death. This Saint prayed and prayed for the Emperor until he heard a voice say ‘your tears have baptized him in hades and saved him.’ Should I throw that story out and say it is false based upon your exegesis of Jesus’ words? If your exegesis is in fact correct we need to stop preaching the paschal homily and will also need to get rid of the story mentioned by Met. Hilarion. If Christ’ words transcend time or an age and aren’t specific to a certain time or an age as you have implied than it’s highly possible for human beings in an age unknown to us post-mortem to no longer deny Christ. Why do we even pray for the dead? Why do I light a candle for my dad who died of AIDS when I was 17 who most likely wasn’t living a righteous life since he was involved with drugs, prostitution and all other sorts of things if he in fact is damned and lost and beyond hope? Perhaps I should stop? You criticize the arguments because you state they are philosophical denying that your own arguments are philosophical; but for me Father this isn’t just some philosophical exercise but has real bearing on things like the situation for my father. This is in fact the basis for a Universal Hope. It extends beyond metaphysical, exegetical, or philosophical arguments but lies deeply at the heart of those who have lost people they deeply love and treasure who made ignorant and hurtful decisions in their time here on earth, our own ignorance in our daily decisions, and the evidence contained in the gospels themselves of a human race which killed God incarnate. As St. Silouan has said “love could not bare that”. I don’t think that Chrysostom was contradicting himself here in his line “not one dead remains in the grave”; I think it rather that you are reading into this bit more than is warranted. It is one thing to pray for the departed, since no one can know the state of anyone else’s soul. For this reason I pray every day for my father-in-law, though he was not a confessing Christian when he died. That does not mean that everyone will be saved; it only means that it is not given to us to know who will be saved and who will not. I pray for him and leave the rest with God. I will pray for your dad too, if you like, with your permission. Fr. Lawrence let me also clarify I didn’t mean that taking Scripture seriously was a Protestant thing; but what I meant was contending that your method of Exegesis when the Church has not declared any definitive dogma concerning the scripture at hand is not the spirit of the Orthodox Church, but resembles Protestantism or perhaps even Catholicism. Given your right concern for scripture which we mutually share I would like to lay out a bit more of Scriptural witness for the Universal Hope for humanity. about justice for the nations. Isa 66:18 proclaims that all nations and languages will see the glory of God; all peoples, and the remotest parts of the earth, will see the salvation (σωτήριον) brought about by God; this is why the Lord declares in Isa 66:23: “all will come and worship Me.” These expressions are strongly inclusive. Mal 4:2 (LXX 3:20), a passage that will be regularly interpreted by the Fathers—Origen in primis51—as a reference to Christ, joins the ideas of divine judgment and divine healing (“the Sun of Justice [ἥλιος δικαιοσύνης] will rise, with healing [ἴασις] on his wings,” Vulg. orietur […] sol iustitiae, et sanitas in pinnis eius). Just one more reply from me, lest the comments section become an extended exchange between us two. The Servant Songs of Isaiah (and the prophets generally) do indeed contain many prophecies of the universal earthly scope of the Messianic kingdom and God’s grace. They also contain many prophecies of judgment and unrelieved doom, such as the following: “Behold, all who are incensed against you [i.e. Israel] shall be put to shame and confounded; those who strive against you shall be as nothing and shall perish” (Is. 41:11); “If you [Ezekiel] warn the wicked and he does not turn from his wickedness, he shall die in his iniquity,but you will have saved for life’ (Ezek. 3:19); “O king of Assyria, your people are scattered on the mountains. There is no assuaging your hurt, for upon whom has not come your unceasing evil?” (Nahum 3:18-19). That is, the prophets show the two binary concerns seen throughout the Old Testament, revealing both God’s blessing of the righteous/ repentant and His judgment on the unrighteous/ impenitent. It seems to me that universalism destroys this binary approach, collapsing His judgment into His mercy, when both are equally affirmed. Following the topic of Universalism and your June post “Unquenchable Fire”, I am reading this page, once again. I didn’t finish reading it in it’s entirety the first time, and neither can I bring myself to finish it today. I have much respect for your patience in responding to what seems like an endless argument. I can only bear so much. I agree with your statement that “most of the universalist arguments I have read (including in the comments to my four blog articles on the subject) involve long philosophical arguments, and little sustained argument about what the text of Scripture actually says.” It’s one thing for me to familiarize myself with their view, it’s another to spend time trying to sort out every single angle from which they defend it. I simply do not agree with them. Jesus, the Scripture, the Fathers and Councils, along with my rational mind, are good enough for me. Now, I have to say here, when I read that DB Hart is publishing his own translation of the New Testament…well, I can’t say what went through my mind, in all due respect to your blog, Father. But that indeed is a reflection of the height of his arrogance. Yep, that’s what we need, another translation of the NT, to add to the hundreds of others who felt the need to correctly interpret the Word. Actually, the passage you cite is about the fate of Lazarus in Hades (the intermediate state entered into immediately after death), not Gehenna (the final destination of the damned). It is faulty exegesis to confuse the two. On what basis do you teach that the condemned after the last judgment will be SO MUCH different from the condemned in the intermediate state? The Bible never describes the condemned as “less than human”, but, ironically, you feel the need to “dehumanize” them. That is because you too recognize that it would be horrendous to heard cries of “mercy” forever. But even if the condemned will became creatures less than human, it would not be less horrendous for a mother or a father to know they’re son is there… That means our happiness will never be COMPLETE and perfect. The eternal hell is a tremendous testimony of a defeated God, less than infinitely wise. It is HE who created those persons knowing they would (incomprehensibly) choose evil, not matter what grace or revelation God might impart. Does not sound like a great plan for an omnipotent, omniscient, all-wise God of pure love. What father would let his son or daughter make decisions that would harm them beyond possibility of repair? What God would let his rational creatures make decisions that would harm them (AND OTHERS, like their family members) beyond the possibility of even DIVINE repair? It just does not make sense to point to free will as the ultimate justification for an eternal perdition. The Calvinist explanation at least is coherent. “Currently, the most popular way of defending the notion of an eternal torment is an appeal to creaturely freedom and to God’s respect for its dignity, but there could scarcely be a poorer argument, whether it’s made crudely… by William Lane Craig or elegantly by Eleonore Stump, it is going to fail. It wouldn’t if we could construct a metaphysics or phenomenology of the will’s liberty that was purely voluntarist, purely spontaneous, though even then we would have to explain how an absolutely libertarian act, obedient to no rationale whatsoever would be distinguishable from sheer chance or mindless organic or mechanical impulse, and so any more free than an earthquake or embolism. But on any cogent account, free will is a power inherently purposive, teleological, primordially oriented towards the good and shaped by that transcendental appetite to the degree that a soul can recognize the good for what it is. No one can freely will the evil as evil. One can take the evil for the good. but that doesn’t alter the prior transcendental orientation that wakens all desire. To see the good truly is to desire it insatiably; not to desire it is not to have known it and so never having been free to choose it. It makes no more sense to say that God allows creatures to damn themselves out of his love for them, or his respect for their freedom, than to say that a father might reasonably allow his deranged child to thrust her face into a fire out of a tender regard for her moral autonomy. Richardo: the best reply I can make here is to ask you to read my book Unquenchable Fire, which was written precisely to answer these questions. Thank you, Father. All I can say now is: I really hope you’re wrong on this issue. Because if you’re right, the final outcome of God’s universe is extremely tragic and sad. I don’t know if I can make sense of God maintaining those people (assuming you and I aren’t among them) in existence, forever in conscious eternal torment, without possibility of correction… what could be the purpose? what is the point?